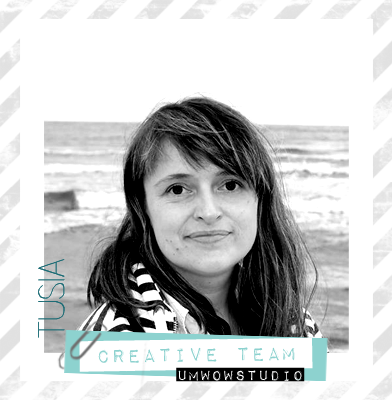 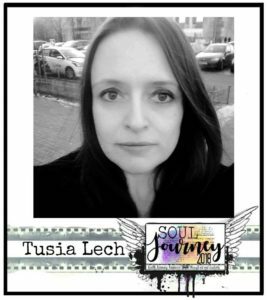 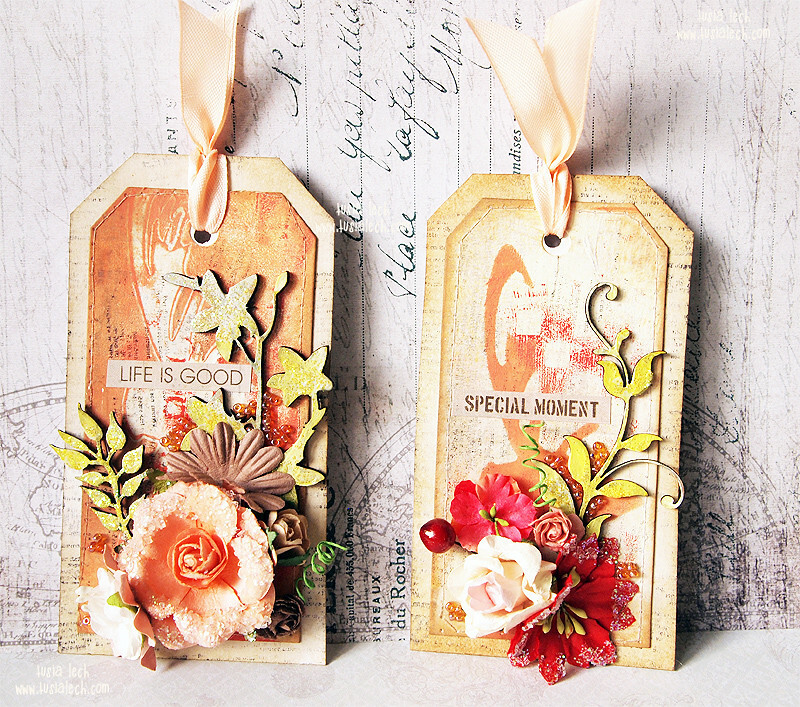 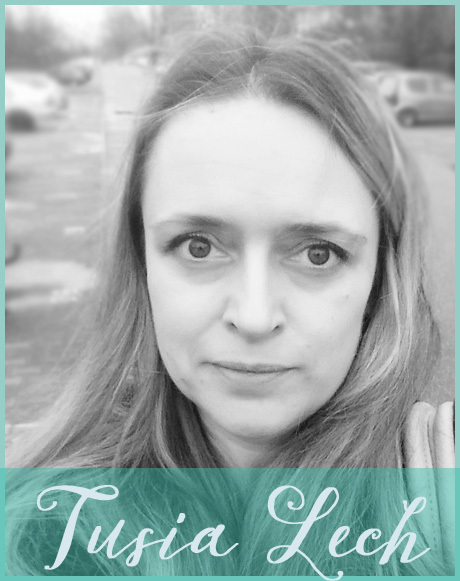 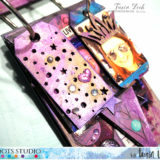 Today I would like to show you two tags and a little tutorial, how I created them. 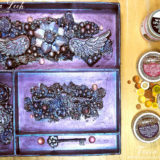 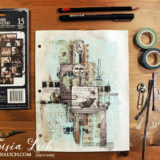 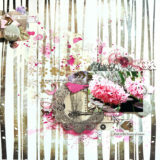 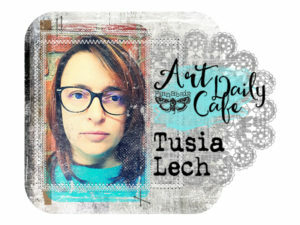 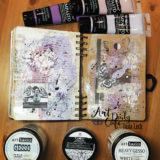 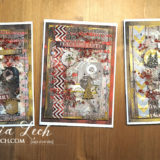 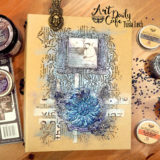 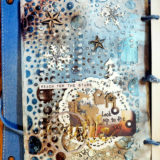 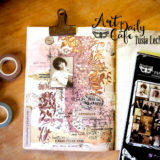 I used 2 tags, I have created once using Gelli Plate and gorgeous UmWowStudio stencils – Checker Board mask and Cicada mask. 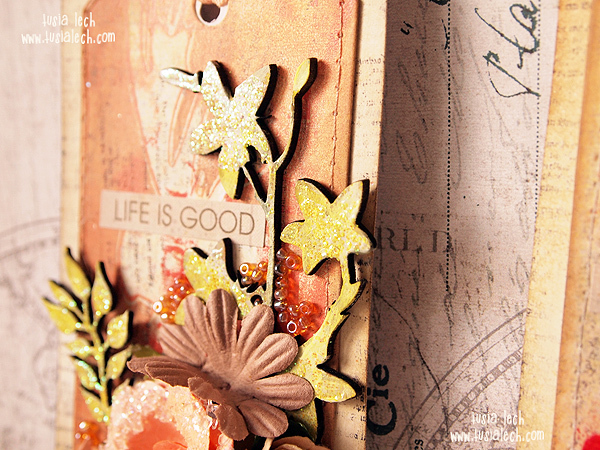 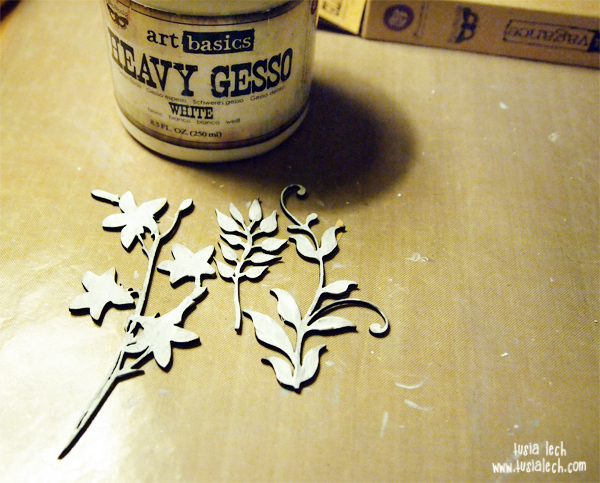 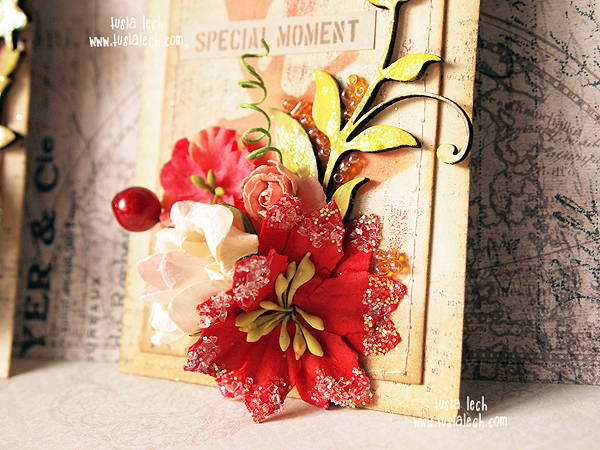 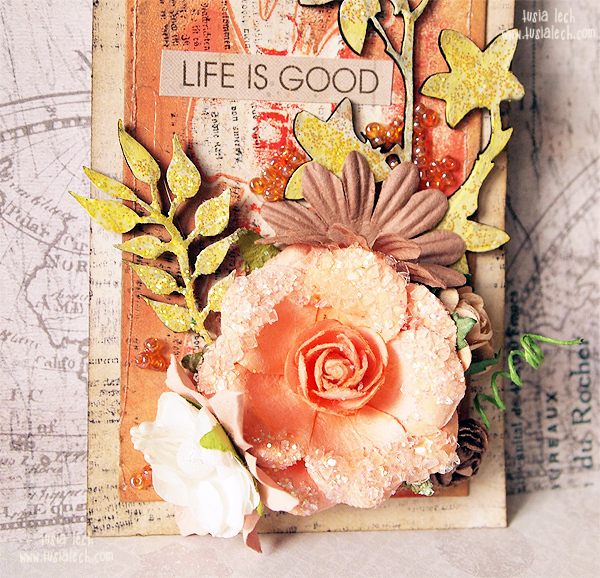 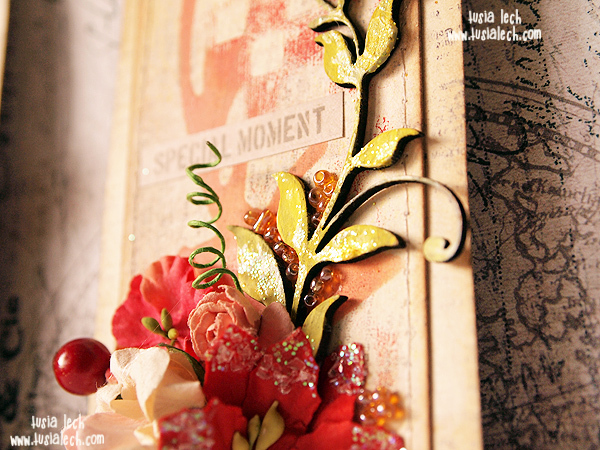 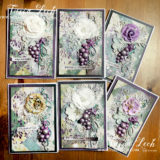 I altered chipboard pieces (Leaf Stems and Wild Lilies) using some media. 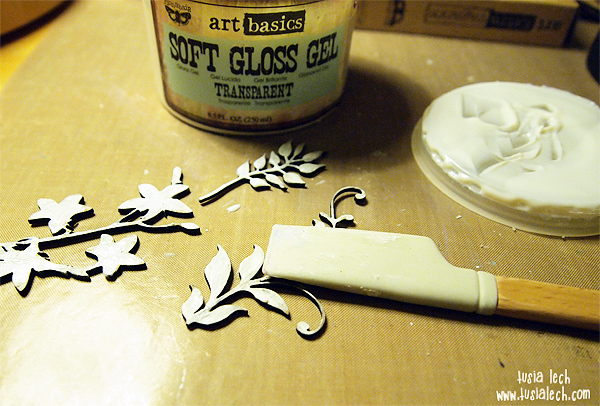 At first I applied white gesso. 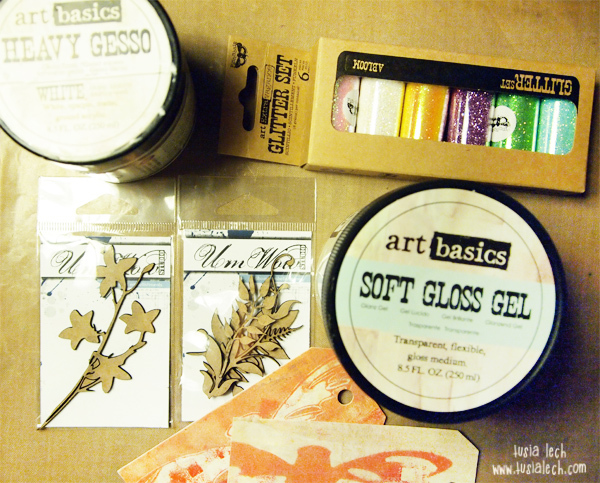 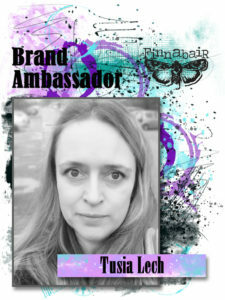 Then I applied Finnabair Soft Gloss Gel using palette knife and…. 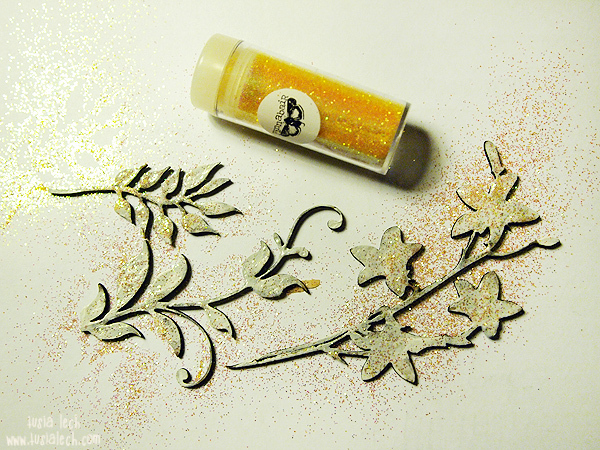 …and sprinkled Finnabair yellow glitter. 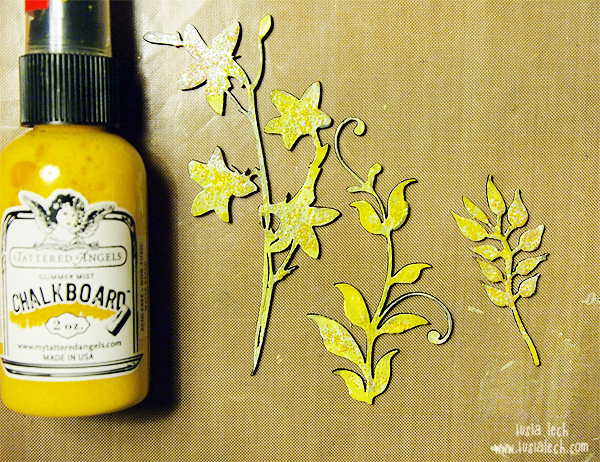 When everything dried, I sprayed chipboard with Chalk Glimmer Mist. 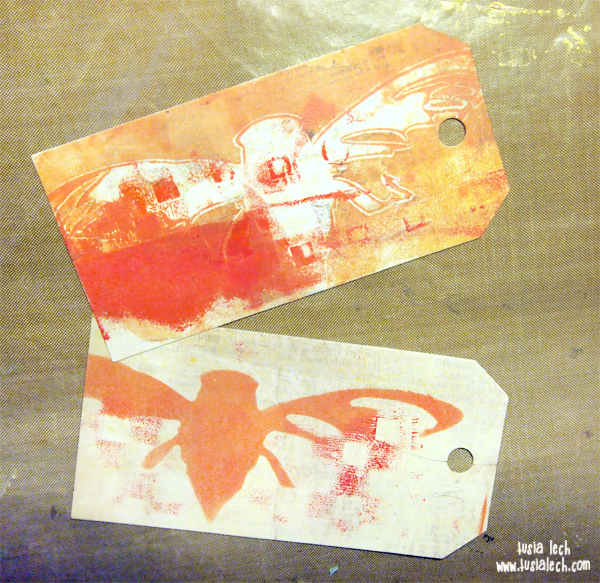 I distressed the edges of the tags using distress ink and started to put all elements together.